Mozambique is one of the most beautiful and diverse countries in the world but is also one of the poorest. 56% of its urban population does not have access to formal financial services. Rural areas and women have even less access to formal finance. Yet as in many other countries, women play a critical role in managing family finances, beyond what they earn from their own paid work, businesses or farming. As the household managers, unlocking access to finance for them opens a potentially profitable market. Thus Women’s World Banking and FSD Mozambique are driving a focus on women among the country’s digital finance players to accelerate financial inclusion more broadly in the country. How well do financial services work for women? As in many countries, banking the unbanked through traditional or digital means has been through a generic, gender-neutral approach. Time and time again however, we have seen that this approach tends to exclude the segment that actually holds tremendous promise for these financial service providers’ bottom-line: women. 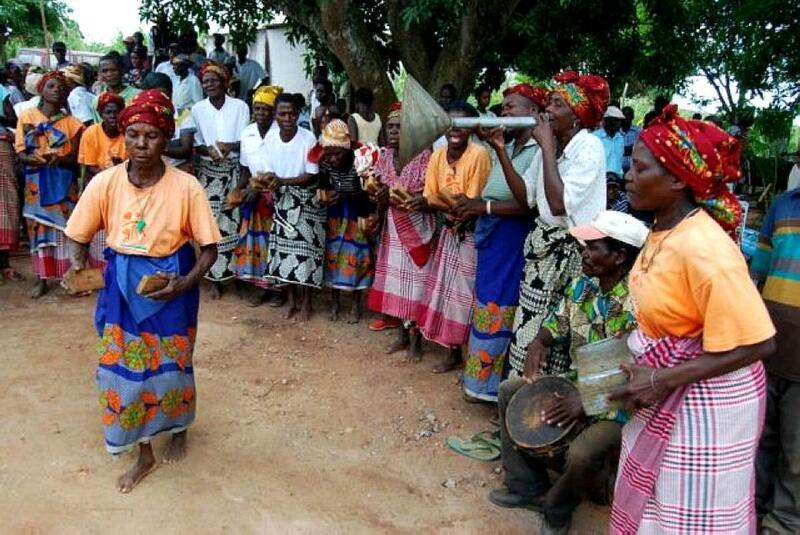 Women in Mozambique are the main household financial managers, making them a critically overlooked target client for financial services providers. Women are in charge of the so-called rancho – household expenses such as food, wood, soap – and pool money from household members to do the monthly shopping and payments. Although un- and underserved by formal financial institutions, women in Mozambique save using informal methods such as xitique (group savings) making them viable customers for local providers. Majority of low-income women who have access to a bank account prefer not to use it because of the high and non-transparent fees. On the other hand, women really like how digital financial services make their lives easier by allowing them to make small, frequent payments, and thus better manage their finances and budget. Women also appreciate the convenience of digital as they can transact from anywhere and keep their money safe. Giving women the ability to carry out transactions digitally has many benefits important to them including safety, convenience, and confidentiality. Increasing financial inclusion in one of the government’s main economic policies. Mozambique launched its National Financial Inclusion Strategy in 2016. The goal is to increase inclusion to 60% by 2022 by focusing on access and use of financial services, strengthening of financial infrastructure, and consumer protection and financial education. The central bank Banco de Moçambique also has a new Financial Inclusion team which will publish consolidated regulation on electronic money and agency banking to make it easier for organizations to navigate the regulatory environment. Maputo and its province have good infrastructure and telecom coverage, as well as decent distribution of bank branches and ATMs. It’s no surprise it has the highest number of individuals with access to finance: 56%. The further one goes from Maputo and major cities however, infrastructure decreases, making it harder for financial institutions and even digital finance to serve these populations. 69% of the rural population and 62% of women are financially excluded. Majority of women, 65%, use informal savings mechanisms with 38% using xitique and 27% savings groups ASCAS. Nevertheless, players such as M-Pesa are helping change the low levels of financial inclusion in the country. Currently there are four e-money providers in Mozambique: 1, Vodacom with M-Pesa, 2. BCI with Tako Móvel, 3. mCel with mKesh and 4. Movitel with eMola. Several licenses are also awaiting approval, meaning more players are about to enter the market. M-Pesa is the clear market leader with over 75% market share and nearly 3 million active users. It is innovative, agile and constantly updating its services, proving marketing slogan, Facilita a tua vida [Makes your life easier] true. M-Pesa users love the service and do believe that it indeed makes their lives easier. Regional players like Zoona and Letshego are also looking to serve the unbanked via agency banking. Zoona offers person-to-person (P2P) money transfer via its 300 agents. It plans to grow the network to 3,000 in the next two years. Letshego is testing its Blue Box agency banking solution. The blue box comes with a solar panel, radio and everything else needed by an agent to operate in remote areas, not to mention 10% interest savings. Although digital finance has many benefits, mostly banked, urban, Portuguese-speaking populations take more advantage of the new services. Many low-income individuals experience and emotional distance from digital finance and do not feel that it is for them. Reaching these populations, the truly unbanked, would require more effort in customer education and positioning on behalf of providers. Extending financial services to the unbanked is critical for Mozambique’s development. It not only includes individual’s well-being; it also helps growth gross domestic product (GDP). Digital finance is helping drive financial inclusion in the country and with a national focus and supportive legislation, Mozambique is slowly but surely on the path to providing financial opportunity for its citizens. Nevertheless, without an active focus on the women’s market, digital finance providers will miss out on their next frontier of growth. FSDMoç and Women’s World Banking are working with financial institutions to help address the challenges facing the unbanked and build the ecosystem for digital financial services. Together, we will ensure that financial inclusion in Mozambique is inclusive of the segment in the country that controls the purse of the most basic engine of the economy: the household.